Lake Worth is a mid-size city located in central Palm Beach County, about 6 miles south of downtown West Palm Beach and the Palm Beach International Airport. 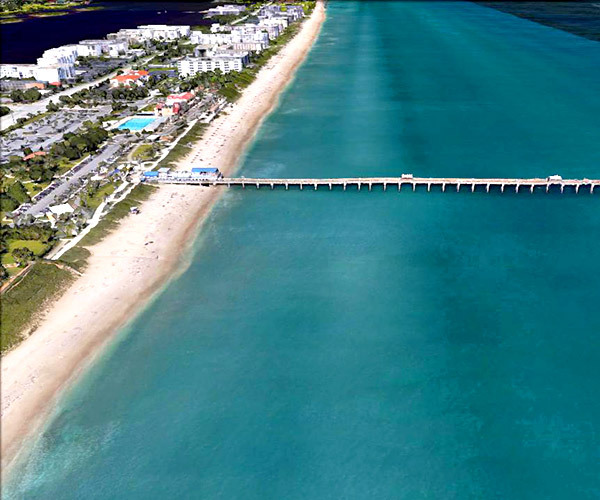 With exciting festivals, cultural diversity, historic landmarks, and an abundance of recreational activities, Lake Worth offers something for everyone. The 19-acre public beach, complete with a Casino building and retail shops, provides an atmosphere for both leisure and activity. For golfers, the spectacular Lake Worth Municipal Golf Course features play along the scenic Intracoastal Waterway. Residents enjoy a wonderful selection of local restaurants including ethnic specialties, fine cuisine, and neighborhood pubs. Downtown Lake Worth features the Lake Worth Playhouse, the Museum of the City of Lake Worth, art galleries, and several arts and cultural festivals throughout the year. Lake Worth offers the opportunity for home ownership in a variety of price ranges. Single-family homes, condos, townhouses, waterfront estates, and golf course homes are available. Courtesy of Marjo Realty Co.